Last week I wrote that Dell’s (DELL) transformation from a products company to a solutions provider will be much more challenging than the similar transition IBM (IBM) made starting 20 years ago. I received many comments from readers, but one stood out that I thought was worth summarizing below. In addition to the obstacles I cited, a reader pointed out that Dell has one more thing to overcome. Its enterprise customers will be reluctant to abandon a valuable corporate asset: their business rules and legacy applications. I agree with the reader. Enterprise customers’ massive investments in business processes and traditional software are gating items that could prevent them from taking advantage of the cloud and mobility anytime soon. Yet, it is critical if Dell wants to develop deep, meaningful relationships with enterprise customers – essential to its success as a solutions provider. Furthermore, getting customers to “let go of the past” is probably out of Dell’s control. As a result, it is a real wild card in Dell’s enterprise solutions play. The reader further pointed out that enterprise mobility with major legacy systems will not be delivered effectively by front end devices and/or servers promoted by Dell that act only as conduits of the legacy data to the remote user. Large legacy systems must migrate to new cloud platforms to meet the enterprise demand for seamless, dynamic, secure access for mobile devices to the enterprise business rules and data. So Dell must face the fact that those in charge of legacy systems at enterprises will simply not take risks. In particular, legacy systems gatekeepers will not gamble on partial solutions from cloud and mobility vendors. The stakes are too high. Therefore, to mitigate risk in the enterprise market, Dell must add to its list of “to do’s” a well thought out legacy system migration and modernization program. 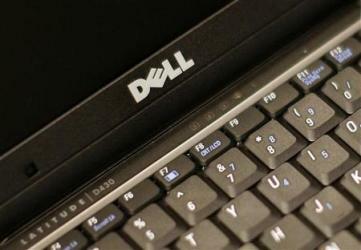 Dell's recent acquisitions confirm that it is heading in this direction. Clerity, Make Technologies, Quest, Wyse and AppAssure underscore that Dell is attempting to provide complete end-to-end solutions as enterprise customers move to the cloud. For Dell, two other barriers remain. First, Dell may need an automated technology to overcome the reluctance of the AS/400 gatekeepers to abandon proven technology in favor of an unproven replacement. Second, Dell has had a historical focus on hardware, but the company does not yet address the AS/400 customer's need for an integrated hardware, software and services solution. As a result, Dell’s move may open the door for other niche players to step in to help create the bridge for legacy enterprise systems. It is another reason that we may see new Dell partnerships that could lead to further M&A activity.